I am officially on Easter break and I am currently back home!! An update of the snowy weekend on my previous post, I have to tell you that it snowed AGAIN but this time I struggled to get out of my house as it was too cold! Therefore, last Friday I went to the One world gala where lot of societies performed their dance routines and showed their cultures and ethics through dancing! I had a really nice time and the show ended at 11:30 pm. I had a few friends performing and I had to go to fully support them! 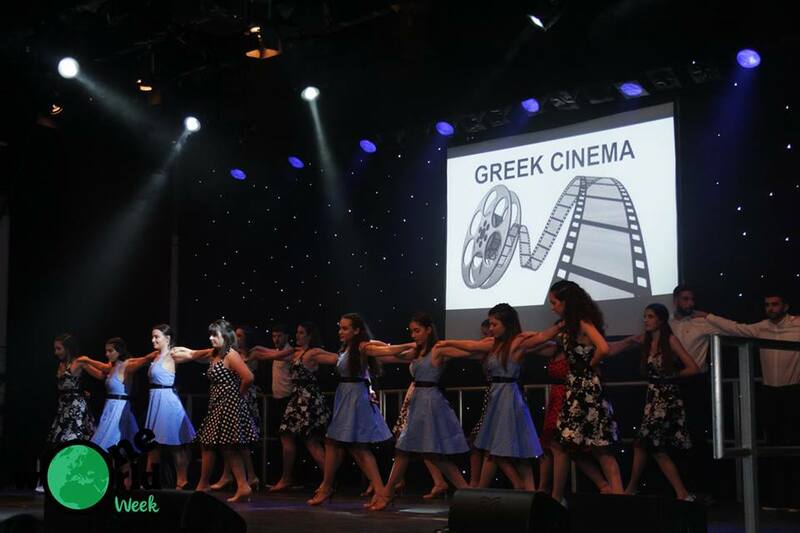 My two favourite dance routines were the one from the Greek and Cypriot society where they danced their traditional “sirtaki” and songs inspired from the greek cinema. Also, the Filipino society showed us a more free style dance routine which was really fun!! Also, the rest of the societies like the Bulgarian or Indonesian captured my attention as their dance techniques showed us their ethics and their passion to dance! My advice is when you first apply at Surrey University, is to enrol in one of the societies as the University offers a wide variety of them including all the countries but also different courses like Maths, Law or Physics as well as sports and activities. You get to meet a lot of people from all around the world but also you enjoy yourself by doing something different than the usual studying in the library !